LEGO Marvel Super Heroes 2 an expanded line up of iconic Marvel Super Heroes and Super Villains from different eras and realities, including Guardians of the Galaxy characters, Groot, Rocket Raccoon, Star Lord, Gamora and Drax as well as Doctor Strange, Doctor Octopus, Green Goblin, Spider Gwen, Spider Man Noir, Spider Man 2099, Captain America, Thor, Hulk, Hawkeye, Iron Man, Ms. Marvel, Ant Man, Captain Marvel, Kang the Conqueror and a whole lot more. 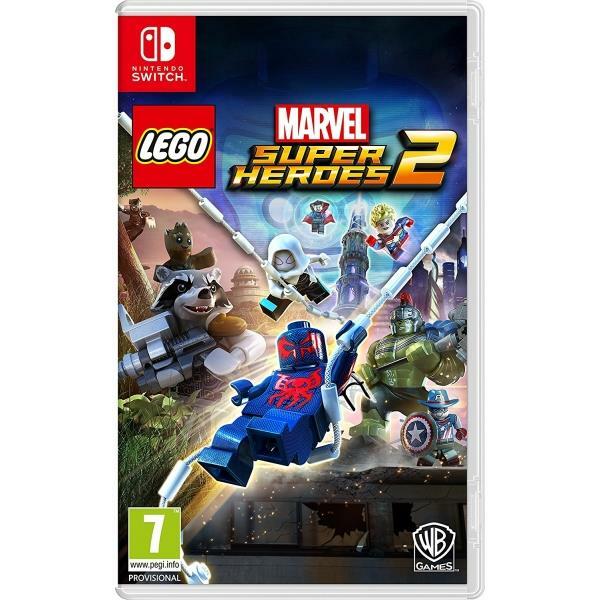 The Warner Bros Lego Marvel Superheroes 2 Nintendo Switch Game was added to the Nintendo Switch Games category in October 2017. The lowest price GetPrice has found for the Warner Bros Lego Marvel Superheroes 2 Nintendo Switch Game in Australia is $42.68 from Amazon AU. Other merchants who stock it are Amazon AU, DVD Land.